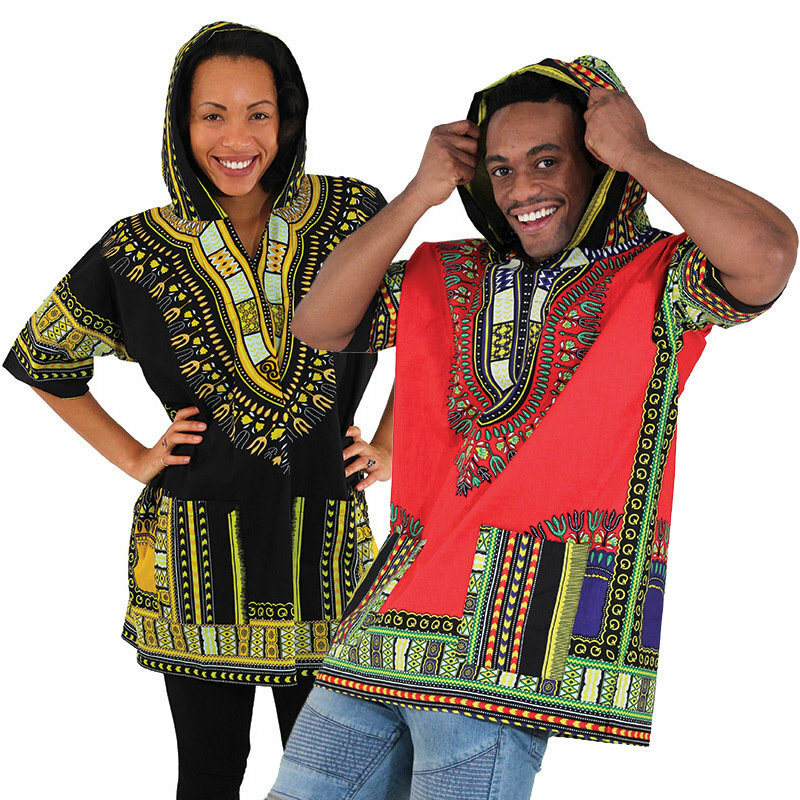 Bring a bit of ethnic style to your day with these new dashikis with a hood. One size fits most. Fits up to a 54” chest. 31” long. 100% cotton. Border colors may vary. Machine wash in cold water. Do not bleach. Iron if needed.